Tap water straight from the tap doesn’t always taste so great which makes a reusable water bottle with a built-in filter a double win! 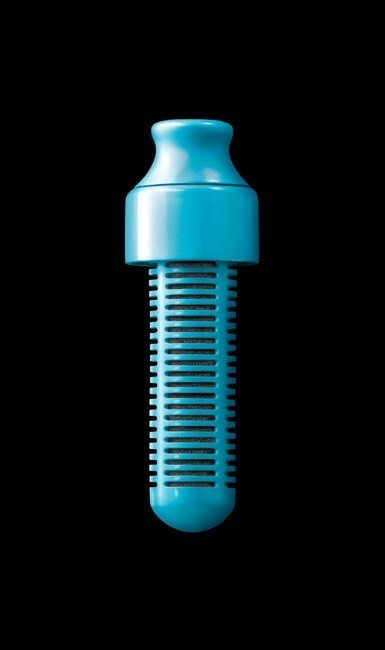 The new bobble SPORT bottle is a hydrated water filtration system which uses a replaceable carbon filter, in effect removing chlorine and impurities from standard tap water. Each filter is said to clean enough water to equal 300 single-serve bottles of water. It has a molded in-grip feature, comes in seven pretty colors, is made in the USA, is dishwasher safe, and has a carry cap lid so you do not lose it. It is also free of BPA, Pthalates and PVC. First place winner will win a prize package which retails for $75, including a bobble hoodie, a bobble sports top, a bobble gym bag and a bobble SPORT bottle. 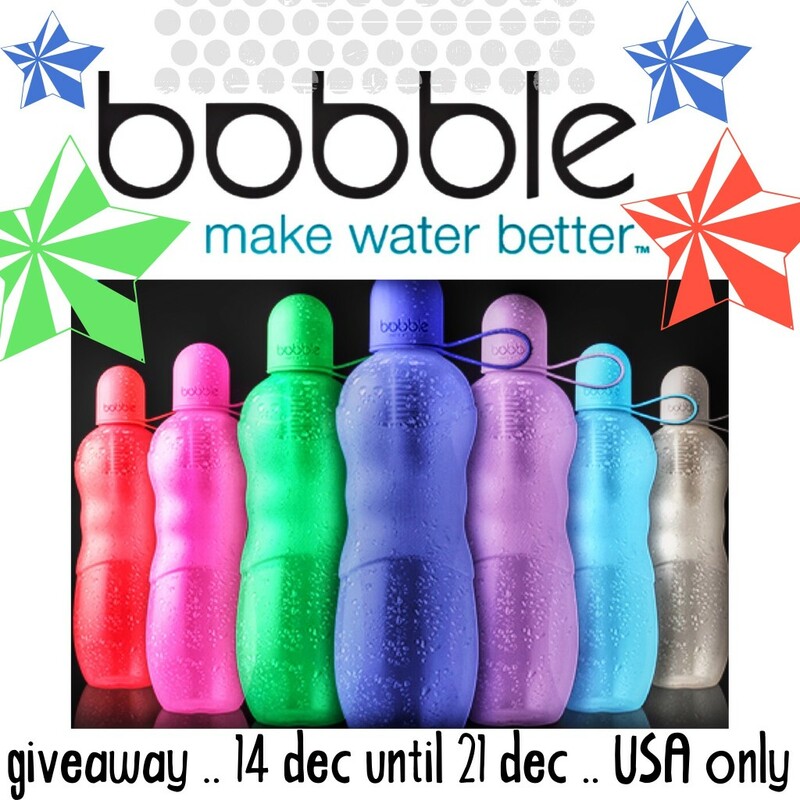 While, 2 additional winners will win a bobble SPORT bottle, valued at $12. Otherwise, through December the 31st, bobble is offering 20% off on their website, using the code GIVEFUN. If you are one of the winners, bobble will send out the prize to you direct from their warehouse. This giveaway starts at midnight on Sunday December the 14th, ending on Sunday December the 21st at midnight EST. It is open to the USA only. This entry was posted in Discount Codes, Food and Drink, Giveaways, Green living, Products and tagged Bobble Sport Water Bottle, Resusable water bottles by jessica. Bookmark the permalink.